Any vintage watches will go so well with this blue grained watch strap! 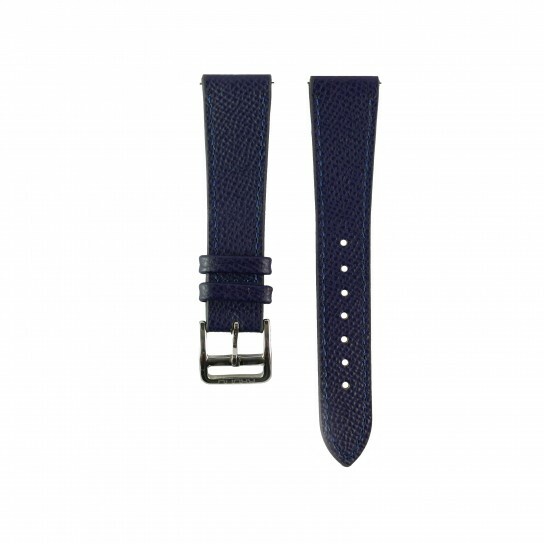 These high quality, handmade calfskin watch straps in blue are very versatile. They are classy and elegant and wear exceptionally well with any watch. The texture of the strap is beautiful and feel luxurious. - Quick Release: Swap your straps daily. Simply slide the quick release knob to the right with your fingernail and reverse to fit the strap back to your watch.